Car financing made easy with vehicle servicing. When considering your car financing options, take the time to seek out vehicle finance deals that offer car servicing as part of the package. 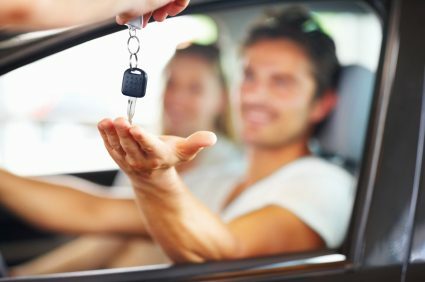 With unique loan models such as those offered by Earn-a-car, you can have your vehicle serviced as part of your vehicle finance deal and this goes a long way to ensuring you receive vehicle finance with greater ease. The more surety that the vehicle will be properly cared for and maintained while it is not registered in your name, the better. Of course not all vehicle financing concerns offer servicing as part of their car finance deals. General maintenance for wear and tear is often left up to the purchaser and in most instances, the major services too. At Earn-a-car we ensure that at least R250 of your monthly instalment is set aside as a Service Support fund. This means you can use the amount saved to carry out repairs and services to the vehicle that are considered your responsibility. We set this amount at a minimum of R250 each month, but applicants who feel they can afford more can increase this amount as they see fit. Your monthly instalment will also cover or contribute to various other benefits such as R500 towing subsidy, R300 savings towards purchasing the vehicle at the end of your contract, vehicle breakdown assistance, courtesy vehicle in the event of an accident vehicle tracking device and immobiliser and a comprehensive warranty, to name but a few. Minimum deposit of R16 500 available. Be able to afford an instalment of R3500 per month. Proof of identity and physical address. At Earn-a-car we want nothing more than for you to drive away in a vehicle that is safe and in an excellent condition. We ensure our rates are competitive and that the process for financing the vehicle is kept simple. To learn more about our car financing options, take the time to contact us at Earn-a-car today.